The day of our people has arrived . 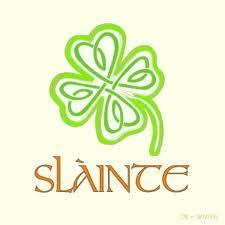 . . St. Paddy’s Day! Before you begin celebrating the day we commemorate St. Patrick (387-461 AD), let’s make sure you have a few facts straight so you don’t look ridiculous after a few drinks tomorrow. 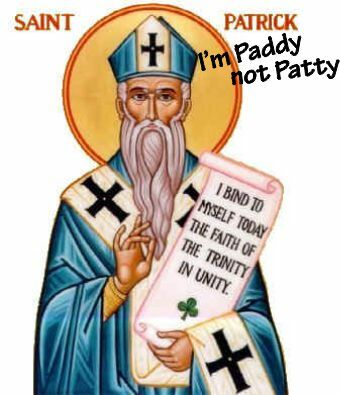 It is Paddy, not Patty. No one in their right mind in Ireland would ever call a Patrick by the nickname “Patty.” Ever. Paddy comes from the Irish name “Padraig” (Patrick). “Patty” is a girl’s name. Or a burger. Make sense? Good. 3. 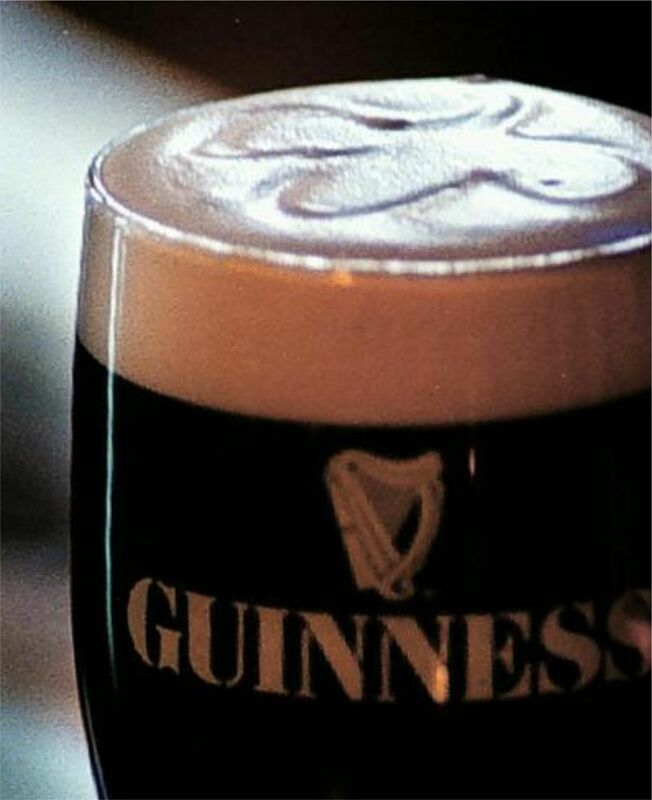 Guinness is not beer. 4. 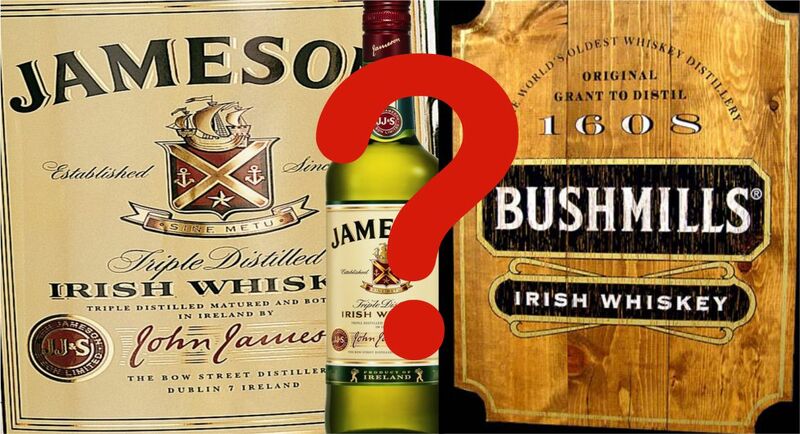 Irish Whiskey: Protestant or Catholic? An ongoing debate in our country seems to be associating Jameson as a Catholic whiskey and Bushmills as a Protestant whiskey. Yes, there are people tomorrow who will swear by this distinction. The truth is, it is really all relative to geography, as Bushmills is located deep in the heart of Northern Ireland Protestant territory and Jameson is from the Catholic area of Cork. Interestingly enough, Bushmills was licensed in 1608 by King James I and again located in the heart of Protestant country. However, Bushmills has a Catholic as a master distiller. Jameson was founded almost 200 years later by a Scot, who most likely was a Protestant. So there you have it. By the way . . . we attended a Bushmills tasting this week at Fado and sampled several of the Bushmills whiskies. We can recommend the 16 year single malt, the Black Bush, and the 1608 Anniversary Edition. 5. 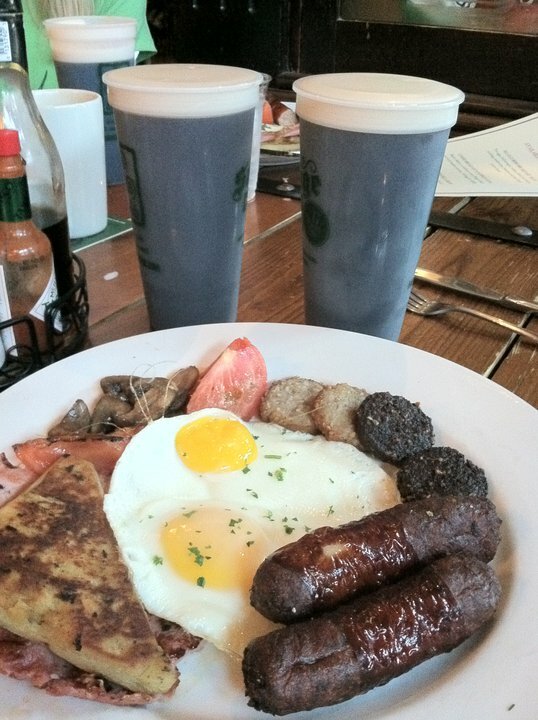 Is an Irish Breakfast necessary? Nicky and I will be at Fado at 7:30 a.m. (they open at 7:00 a.m.) to raise a glass, take a shot of good Irish whiskey, and load up on their big Irish breakfast before we start out day of celebrating. And while you are at Fado, don’t forget to enjoy the traditional PickleBack! A shot of Irish whiskey (try the Bushmills Black Bush) followed by a shot of pickle brine. Fado will open at 7:00 a.m. as they continue the tradition of hosting Atlanta’s largest St. Patrick’s Day party. Rugby fans will enjoy non-stop live action, including the exciting match when Ireland takes on England. A $10 cover charge gets you in to the viewing area. The Fado street festival begins at noon for a day filled with beer, bagpipers, Irish dancers, and lots of live music. Tickets are $15 at the door. The fun will go until the wee hours and wrap up around 3:00 a.m.
6. Drinking with or without music? Oh, you have to have some good Irish music to truly celebrate this great day. And there are some great opportunities all over town. 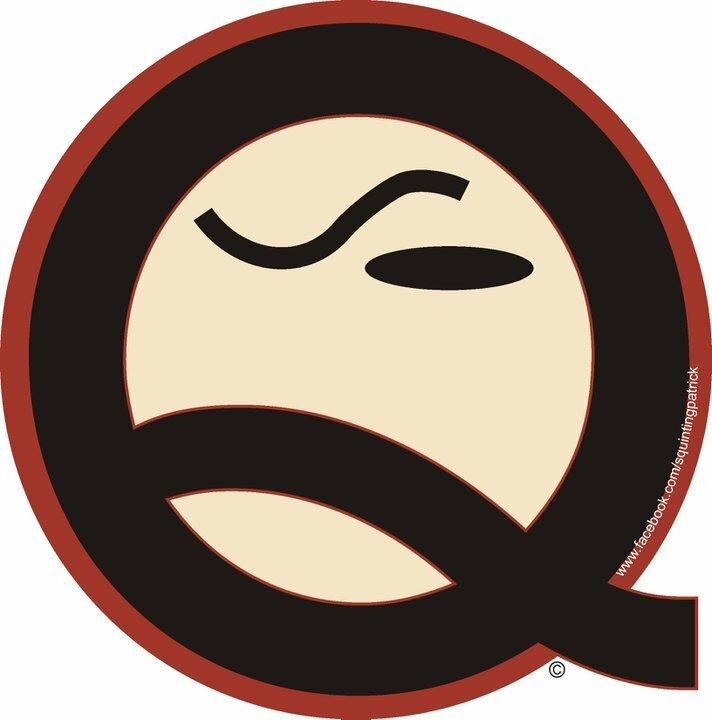 One of our favorite groups in town – Squinting Patrick – will be helping open up the new Olde Blind Dog in Brookhaven. They will be playing to the crowd outside from 2:00 to 5:00 p.m. covering some Flogging Molly and Gaelic Storm tunes as well as presenting a new twist on some traditional Irish songs. All the local pubs will be featuring bands from early afternoon through the wee hours, so grab your ghillies and shillelagh and get moving. You simply cannot have St. Patrick’s Day without a rollicking parade. The Atlanta St. Patrick’s Day parade is celebrating the 130th year of this event! The parade steps off at 12:00 noon on Peachtree at Ralph McGill and proceeds down Peachtree toward Woodruff Park. See these sites for details. 8. You have to be drunk to enjoy the day. NO. Wrong all the way around. While this is a great day to enjoy Guinness, fabulous Irish Whiskey, music, food and dancing, remember to imbibe in moderation. Finally, here is a toast to you as you begin your celebrations! If you have done your preliminary work, thhe dog should go down for you. In older dogs it is probably one of the leeading causes of death. irth chart and individua prediction of all planet with gemstone. in order to enjoy the proper gleam play in the real privacy. However, she’s still got next week to make Monika eat her words. We’re a group of volunteers and opening a brand new scheme in our community. Your website provided us with useful info to paintings on. You’ve done an impressive activity and our whole community can be grateful to you. any suǥgestions, please let mee know. Bless you! Previous Previous post: Mamie Yes, Mamie No?